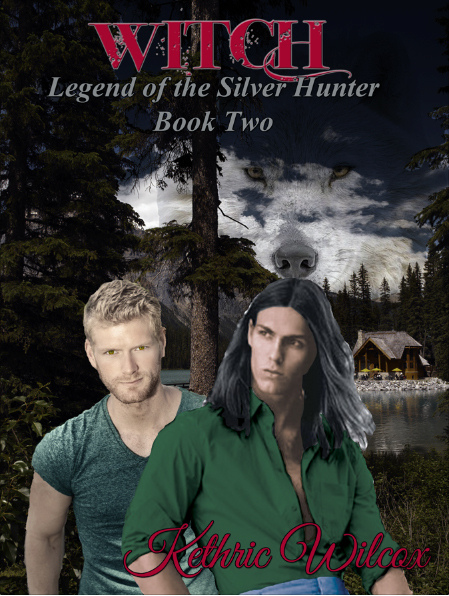 I know you’re all waiting patiently for the release of Witch, book two in the Legend of the Silver Hunter series, so I wanted to give you an update on its status. I’m waiting on pins and needles for the manuscript to return from my wonderful new editor, Shannon A. Thompson, who is currently proofreading and fixing my crazy changes of verb tense and other grammatical oops. She did a marvelous job with content editing in the first round of edits, which spawned a couple of new scenes and changed a few others. Because I had to take time to write the new scenes and re-write several other scenes, I threw my own schedule off track. I originally intended to have Witch out by the end of July, but now so that Shannon has the time to carefully proofread and I have time to carefully read and make her corrections and then format Witch for both Kindle and paperback publishing, Witch will release in mid-August. I’m hoping to be able to have enough time to do a pre-order before the release day. I haven’t been idle while waiting for Shannon to return my edited manuscript to me. Hunter, book three of the series is well underway in first draft form both on the computer and in my had written notes because scenes aren’t flowing in a given order. Also in the works are draft chapters for the first spin-off series which will feature Richard St. Martin and the vampires of the World of the Silver Hunter. This will be a two book series for release in 2016. Book One is entitled Lord Hunter, and Book Two is entitled Lord Slayer. I’m also gathering research material for an alternate history novel set in an world where Venice retained control of Constantinople after the Fourth Crusade. I also have some rough plans for a trilogy featuring Kieran’s Uncle Brom and Professor John Mason. So watch here, on Facebook, and follow me on Twitter @KethricW for more updates.